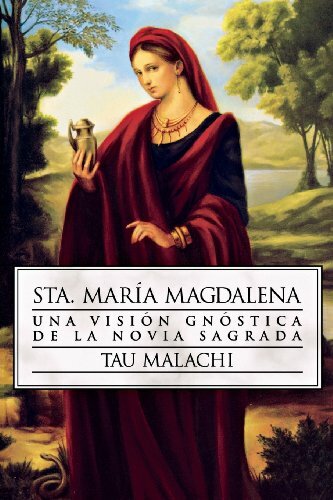 En muchas escuelas de la cristiandad gnóstica, María Magdalena es influyente en las revelaciones evangélicas. Por primera vez impreso, se presenta el evangelio Sofiano de Sta. Mar’a Magdalena, con 250 sabias revelaciones que el lector puede usar como recursos para su crecimiento espiritual. Anteriormente, ninguna tradición oral tan importante había sido impresa, así como tampoco la visión gnóstica de María Magdalena y la forma como es presentada en esta obra sin igual: como una poderosa y bendita mujer, la más cercana discípula de Jesús y su amada esposa. In many schools of Gnostic Christianity, Mary Magdalene is influential in evangelical revelations. For the first time, the Sophian Gospel of St. Martha Magdalene is presented in this book, with 250 wise revelations that the reader can use as resources for spiritual growth. Previously, no such important oral tradition had been printed, nor had the Gnostic vision of Mary Magdalene and the way she's presented in this work: as a powerful and blessed woman, the closest disciple of Jesus and his beloved wife. If you have any questions about this product by Brand: Llewellyn Espanol, contact us by completing and submitting the form below. If you are looking for a specif part number, please include it with your message.